It's not often that a brown envelope contains a pleasant surprise- but yesterday one arrived at the Peebles shop that did. 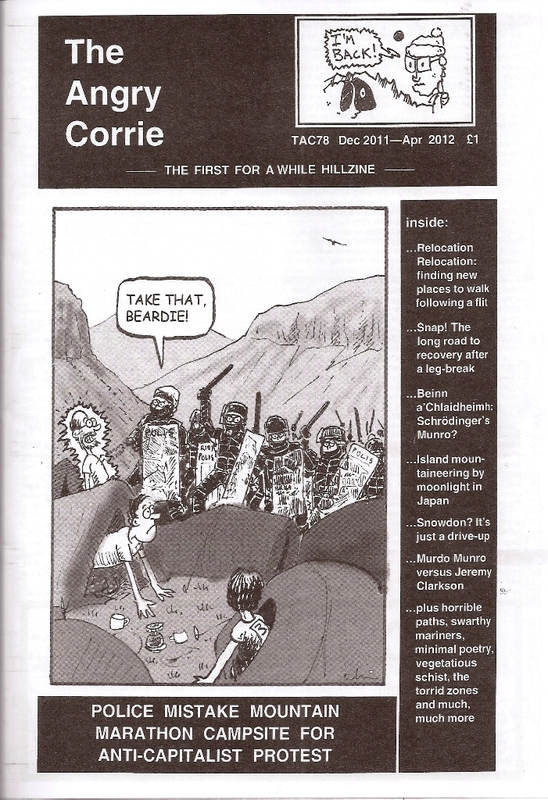 Totally unexpected Issue 78 of The Angry Corrie, Scotland's self-styled "first and finest hillzine". 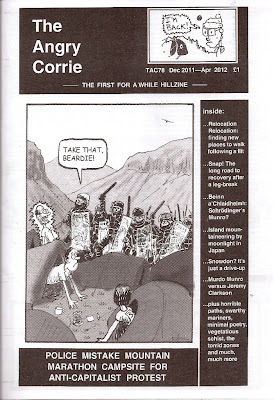 We'd got used to the sporadic nature of the issues but with the previous one being published in Spring 2010 we had assumed that Murdo Munro had hung up his bobble hat and TAC had quietly retired. It's sometimes nice to be wrong- so The Angry Corrie is available again, with the familiar mix of hill news, access issues and list-ticking at only £1 a copy. Q: What makes a better stocking filler gift than a spork?